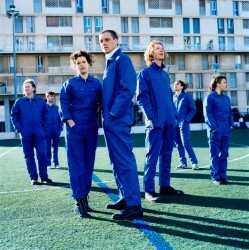 Posted July 21, 2015, 1:29 p.m.
Arcade Fire are set to release a film that gives a behind the scenes look at the recording and touring for their critically acclaimed album Reflektor this September. The Reflektor Tapes takes in footage of the band performing live in Los Angeles and London on the Reflektor tour, and also features footage of early preparations for the album in Jamaica, Haiti and Montreal. Award-winning director Kahlil Joseph gained unprecedented access to the band during filming, which contains a combination of personal and on-stage footage. The band have also released a brand new track as part of the film. The film's website here will be updated with dates and tickets ahead of the September 24 release, while you can get a glimpse of the Reflektor Tapes trailer here. 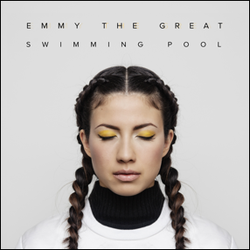 Emmy the Great has announced two Californian tour dates, and has released a Teleman remix of the lead single from her S EP, "Swimming Pool". The London-based singer-songwriter will play headlining shows at The Hotel Cafe in Los Angeles on June 10, and The Hotel Utah in San Francisco on June 12. To celebrate her first headlining shows in LA and SF, Emmy has released a remix of her single "Swimming Pool" by Teleman (ex-Pete & The Pirates). You can hear it here on Brooklyn Vegan. Posted March 11, 2015, 12:01 a.m.
Record Store Day has released the release list for this year. You can check it out HERE. The event takes place on April 18th this year. Posted March 6, 2015, 11:20 a.m.
Posted Oct. 3, 2013, 3:14 p.m.